But it was such a perfect day. I made it to the farmers market, where I got the first asparagus stalks of the season. I made it to the dog park, where my doggy got to play. I made it to yoga. And I made it to the botanical garden for the annual cherry blossom festival. Bonus that my friend had a membership, so we waltzed past the long lines to get in like a couple ballers. What’s better than sitting underneath a canopy of pink petal flurries, gawking at people of all walks of life dressed up as anime characters, gossiping with your friend about your other friends? It’s not so much what you eat or how you prepare it, but what was going on in your life when you were enjoying it that makes a dish special. Context is half the flavor of food. Spring—just the essence of this primal season—is powerful enough to lend certain foods inseparable nuance. Asparagus is one of them. For me, this plate of crispy-roasted asparagus with a simple, soft-boiled egg is infused with the activities of that spring Saturday. I had never prepared asparagus this way before. But when I do next (and it will probably be in spring, since the vegetable is in season such a short window), it will already be complemented with the pleasant flavors of this weekend—even if it doesn’t come out as well the next time around. 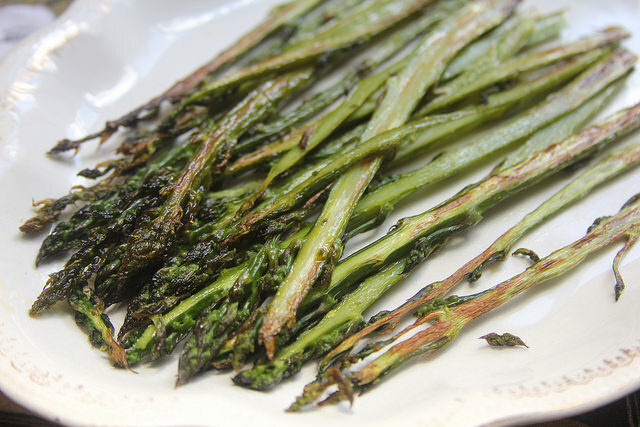 So how do you make asparagus stalks golden-brown and crisp? It’s basically the same way you do so with Brussels sprouts: split them down their middles and stick them in a raging-hot oven to let their natural sugars toast. Sure, this great big pile of roasted asparagus will work as an elegant side. But no need to share—especially if you live alone and are hangry from a long day outside—eating an entire bunch of the same vegetable in one sitting isn’t such a bad thing, in fact. A squeeze of lemon is good; a runny egg to pool over your pile of stalks is even better. I don’t know, I had initially some grand ideas for this bunch of asparagus, but let them go to the wayside for the easier, less-effortful thing. It could have gone wrong or it could have gone so-so. To my luck, it made a perfect day even better. But that’s maybe besides the point. Preheat oven to 475 degrees. 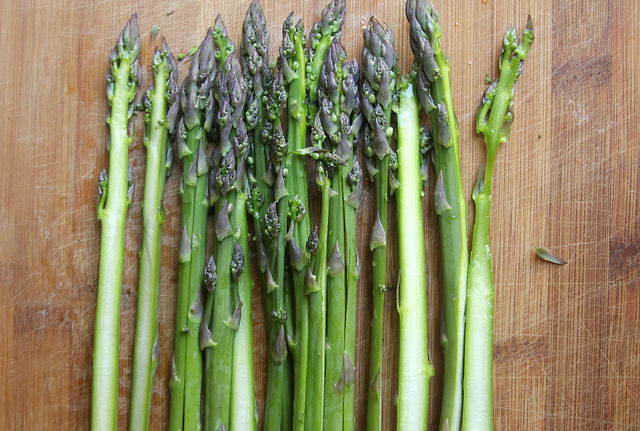 Carefully split the asparagus in halves along their lengths (very skinny asparagus can be left whole). Each half or stalk should be roughly the same width to ensure equal cooking. Toss the stalks in the olive oil and a couple pinches of salt and pepper. Arrange them cut side-down on a sheetpan so that each has full, direct contact with the pan (avoid overcrowding and try to give at least 1/4″ of space in between each piece). Roast for 6-8 minutes, or until crisp and brown around the edges. 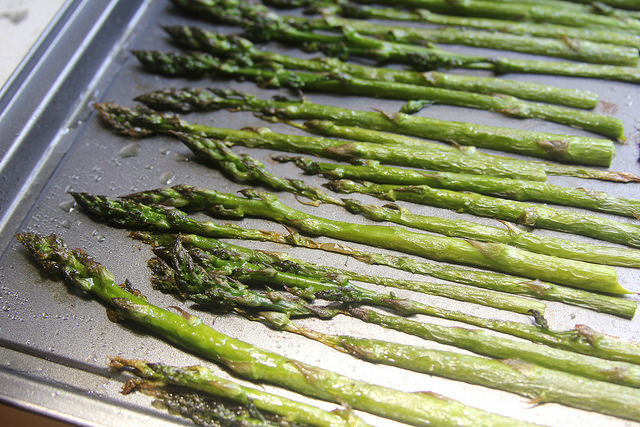 Remove from oven and carefully remove the asparagus from the pan with tongs. Meanwhile, bring a small pot with enough water to completely submerge the egg to a boil. Once boiling, carefully place the egg in the water and continue to boil for 5 minutes. Remove immediately and run the egg under cold water until lukewarm. Carefully—very carefully—peel the egg. 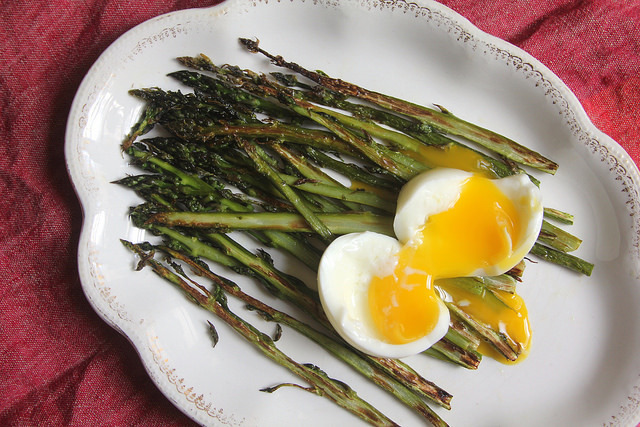 Arrange the asparagus on a serving dish and place the egg on top. Break into the egg and enjoy immediately. Three brownie points: This is not going to cut it as a complete meal for many, especially if you’re hangry. 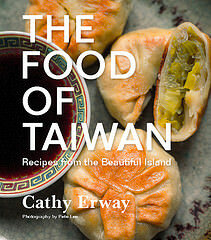 Consider it for a tasty and nutritious appetizer, side or snack. It’s as simple as asparagus and eggs, and if you’re dealing with fresh, in-season asparagus from a local farm (not insipid, flavorless ones that were harvested long ago and traveled many miles), it’s chock full of vitamins and minerals. Like Vitamin K (the greener the stalks, the more, typically), B-vitamins and fiber. In addition to protein and fats, the egg may also be a good source of omega-3 and additional vitamins, especially if it has very orange yolks from hens that were fed a nutritious spring beta-carotene-rich diet. 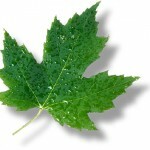 Nine maple leaves: When you have really good, fresh ingredients such as those just in season from local farms, you really don’t need any accoutrement. The egg serves as a condiment instead of sauces, so the only ingredients that weren’t found from the Greenmarket were the oil, salt and pepper. Great post, nice and simple recipe I’ll try it out something. Cheers! Here is instant solution for lunch or snack. It is so simple and easy and kids are delighted to have this bread pizza. You can add any topping to it and ready in minutes. Variation are endless with this recipe. Share this delightful and delicious recipe with your friends/family. Best for serving a crowd/surprise guests or cocktail party. Whatever the reason is, it is perfect lunch idea. I hope you enjoyed the video. Please subscribe for more delicious recipes. Have fun and happy Eating! Eating right now! So simple and easy and yummy! My asparagus took longer but not sure if I did not cut them thin enough or waited long enough for the oven to crank up. 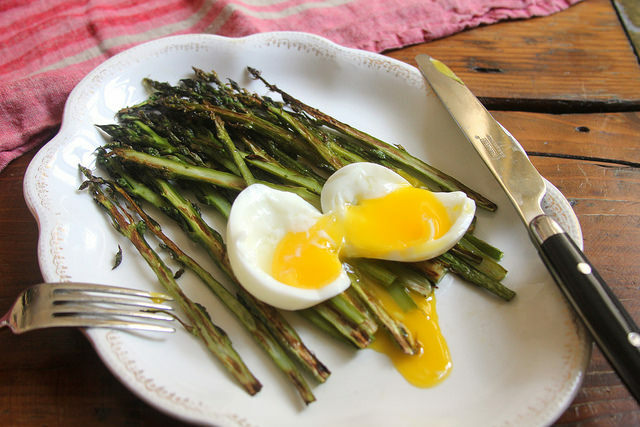 The asparagus is really good with the crispy edges and who doesn’t love egg and yolk all over? @Marie – So glad it worked out! And yes, the width of asparagus stalks varies wildly, so if you have thicker stalks they’ll take a bit longer. Glad you figured it out! This is so easy, I think I can make it for breakfast whenever I want, it’s fast and healthy also 🙂 Thank you very much!! This is a very healthy meal and there making process is so easy for everyone. there you will find all the icon setting related instruction in easily and you can understand how to add your main apps in desktop in simple terms.